Michael Jones is an evocative writer and storyteller, a thoughtful and inspired speaker, a conversation catalyst and widely recognized pianist /composer who offers a unique and memorable experience in his keynote presentations, workshops and learning conferences. 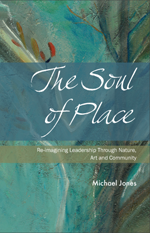 His most recent book The Soul of Place; Re-imagining Leadership Through Nature, Art and Community (Friesen, 2014) is the third in a series on re-imagining leadership. It offers a refreshing and richly textured exploration of our relationship with place in nature, art and community and how this connects us with the core underlying patterns of life and living systems. Michael highlights his thinking on re-imagining leadership as a regular columnist with Management-Issues, one of the top trend-setting global business and leadership sites on the web. There is another aspect to Michael’s story. He is a widely recognized Juno Nominated (A Canadian Grammy) pianist and composer whose 15 original piano recordings – including most recently Deep Song – have served as benchmarks for contemporary instrumental music and attracted an audience of millions worldwide. For over 20 years, he has enchanted his audiences through integrating his music and stories in a variety of national and international leadership forums. He also been a thought leader with The MIT Dialogue Project, the Executive Leadership Programs at the University of Texas, San Antonio, Quaker Foods and The PepsiCo Global Nutrition Group, the Greenleaf Centre for Servant Leadership, the MacGregor Burns Academy of Leadership, the Tamarack Institute for Community Engagement and the Fetzer Institute dialogues on Leading for Transformation. In addition he has been engaged in a variety of place – based initiatives focused on helping communities and organizations find the soul and story of their place. 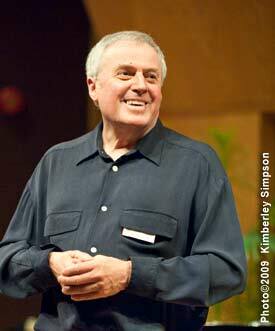 His work has been described as “… intelligent, open, genuine and transformational”. By asking the question;” Who will play your music if you don’t?” Michael creates a place for leaders to discover their own true nature as well as shaping a story of the future in which the primary challenges will be both generative and ecological.